This is the style you’ve been looking for! Understated and timeless. Beautiful blue-green vintage turquoise is surround by a hand fabricated fine silver bezel and set atop a sterling silver hand-hammered band. 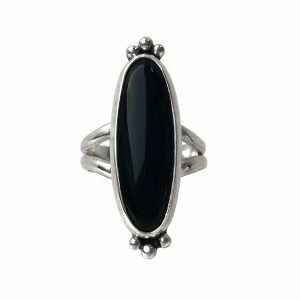 Can be also be worn as a stacking ring. 3/8″ wide by 1/2″ long. Size 8. 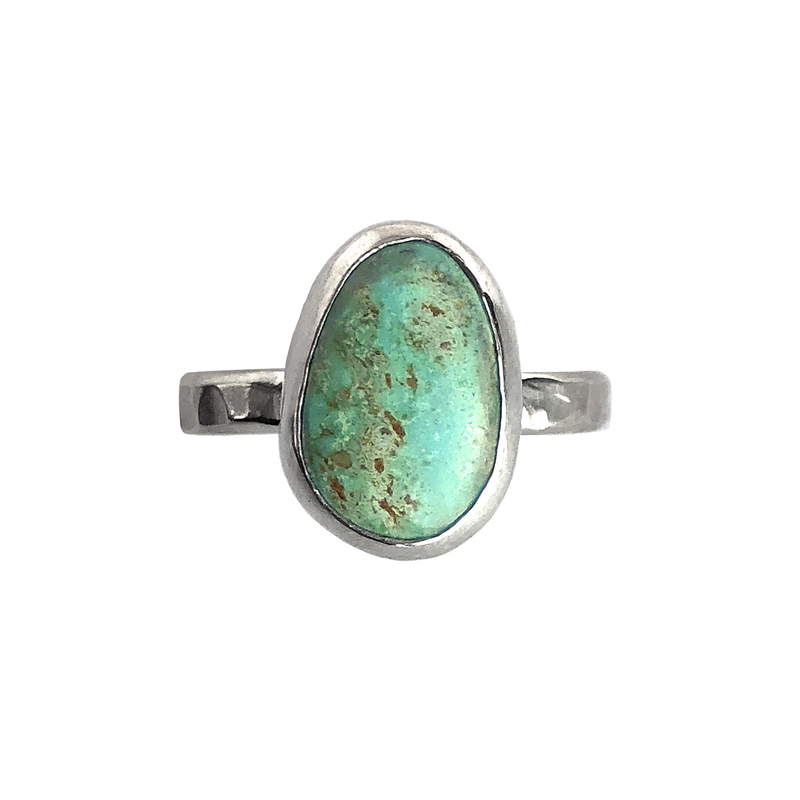 This stone is a vintage piece of Kingman turquoise. 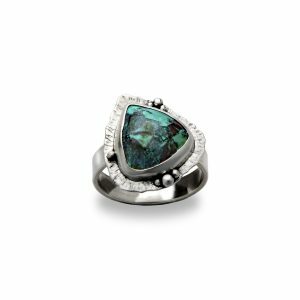 I was able to procure this stone at an amazingly low cost from a trusted fellow jeweler who has had this stone in her collection for quite some time and am able to pass on that savings to you for a special piece of old-stock turquoise. Model is wearing our Cloud Mesa Turquoise Pendant. Turquoise is found in several places around the world: The southwestern United States, China, Egypt, Iran and Mexico. It was even mined by the ancient Egyptians and Persians. Turquoise occurs in many shades of blue, blue-green, green and yellow-greens.